2 Comments on "3-Hour Dill Pickles"
I tried these pickles and just LOVE them. I will never make any other. 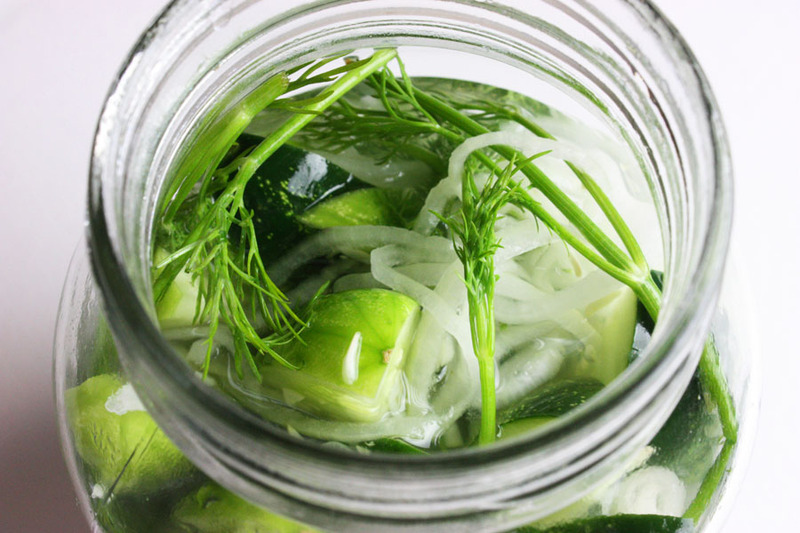 I really like fermented dill pickles and have been searching and trying many recipes over the years. What I like about them is the taste and the probiotic effect. You say that these are probiotic but I wonder if this is so because of the germ-killing effect of vinegar. As such I used very little vinegar in the recipe. It tasted really good. I’ve made these before. Delicious!